WinStar Farm’s Closing Bell got his first stakes win in the $300,000 Dueling Grounds Derby, gamely prevailing after a stretch-long duel. Going 1 5/16-miles on the undulating southern Kentucky turf course, Closing Bell tracked in fourth for the first six furlongs and then began to inch closer as the field straightened for the long stretch run. The dark bay colt put away Mission Driven in mid-stretch, then held off Wireless Future to win by a head in 2:17.60 over a course that had been softened by several days of rain. Closing Bell previous victory came in a main-track maiden race at Belmont, but the 3-year-old has two good showings on the turf since then, finishing fourth in the Belmont Derby (G1) and second in the Secretariat S. (G1). With Monday’s win, he is now 2-1-0 in five starts and has earned $399,165. Closing Bell is out of the top producer Rehear, dam of Mani Bhavan, who took both the Spinaway S. (G1) and Adirondack S. (G2) at two, and Hear the Ghost, winner of the 2013 San Felipe S. (G2). 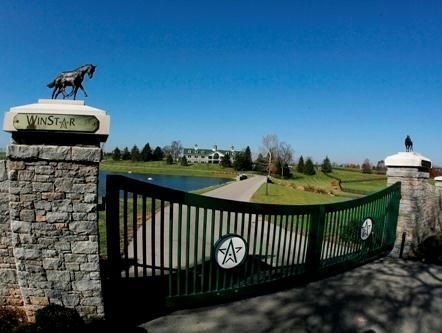 WinStar was the winning bidder, at $400,000 for Closing Bell at the 2013 Keeneland September Yearling sale. Closing Bell was bred in Kentucky by W. S. Farish and Lazy F Ranch.